Ping Yang, L.Ac., Dipl.Ac., F.A.S.A. 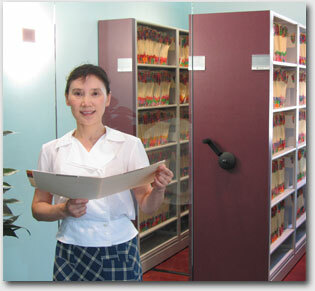 Ping Yang is an Arizona State Acupuncture Board licensed and US national board (NCCAOM) certified acupuncturist. Prior to moving to the U.S. she was a State Certified Physician in Beijing China for 15 years. Ping has been practicing acupuncture in Arizona since 1993, with more than 30 years of combined experience she is regularly referred to by many local physicians. While practicing medicine in Beijing, Ping had a long term apprenticeship with professor Cheng Xin-nong, the author of Chinese Acupuncture and Moxibustion. The book is recommended by the national acupuncture board (NCCAOM) as the official certification test reference. At her practice Ping Yang uses primarily acupuncture, moxibustion and cupping techniques. Only disposable needles are used in the clinic. One needle One location One time only. Acupuncture can be explained with concepts of neuroscience and advance physiology. The acupuncture points are interpreted as places where nerves and muscles can be stimulated by increasing blood flow and triggering the activity of our own body's natural painkillers. Without side effects or the use of additional medications, acupuncture continues to grow in popularity and is preferred to by millions. Well known in alternative medicine, acupuncture with its long history is recognized as an effective treatment for post-operative pain, arthritis, sciatica, neck, lower back pain and much more. National Institutes of Health released a consensus statement in 1997 encouraging further study and expand its use. In addition, The World Health Organization recognizes acupuncture as an effective treatment for more than 35 common illnesses. Read more on our Q & A page. © 2013 ARIZONA CHINESE ACUPUNCTURE CENTER. ALL RIGHTS RESERVED.